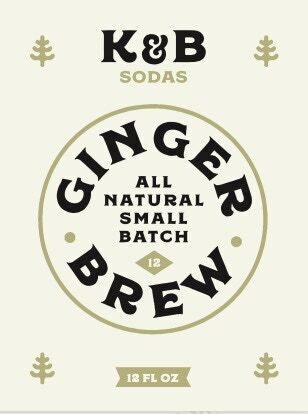 As many of you know, a little over three years ago, at the urging of friends, I began bottling and selling my infamous Ginger Brew around the DC area. It was the first Ginger Brew made in DC and K&B Sodas quickly became established with its unique all-natural flavor. After three years of boot-strapping and moving production from my apartment through various commercial production kitchens, I am now embarking on the next phase of growth and for that, I need your help. This week, I will be moving production of K&B Sodas to a canning facility in Long Island City. While it is a deeply exciting move that will allow us to scale our growth, launch a full line of flavors and move to cans, carbonation and hopefully greater distribution in the mid-Atlantic region&apos; it does come with increased costs. We greatly appreciate any donation and support of the continued growth of K&B Sodas! For those that donate $100 or more, you will receive a limited edition K&B Sodas T-Shirt. Founded 2015: The First Bottled Ginger Brew Made in D.C. Launched in 2015 in a small basement apartment, K&B Sodas is the passion project of long time beverage producer and lifelong soda fiend Andrew Shapiro. After many years of serving his famous homemade sodas at the various restaurants where he bartended and at the encouragement of friends, he sought to reinterpret the soda and mixer market with his delicious concoctions and began selling Washington, DC’s first commercially-bottled Ginger Brew to much success. Paying homage to 1950s world-class canoers Ken and Bob, connoisseurs of fine natural beverages (probably), and harkening to an era when sodas were made with pride and quality mattered, K&B Sodas are brewed in small batches using all-natural ingredients to ensure maximum quality and superior taste. They are perfect by themselves or mixed in your favorite cocktail. Refreshing, delicious, and immensely satisfying, K&B Sodas are what sodas are meant to be. Originally from Chattanooga, TN, Andrew Shapiro has called DC home since 2000. He is a long-time beverage/bar director, beverage consultant, and bartender with a bad soda habit, who had no idea what he was doing when he launched K&B Sodas but continues to love and be thankful for the ride. Andrew is an obsessive Notre Dame and Washington Nationals fan and can usually be found watching one or the other or taking his special-needs rescue Border Collie Rocket canoeing on the Potomac. After building a soda empire, he wants to one day open an old-time pharmacy-style soda fountain and delicatessen.